Kirk Bell May 3, 2016 Comment Now! 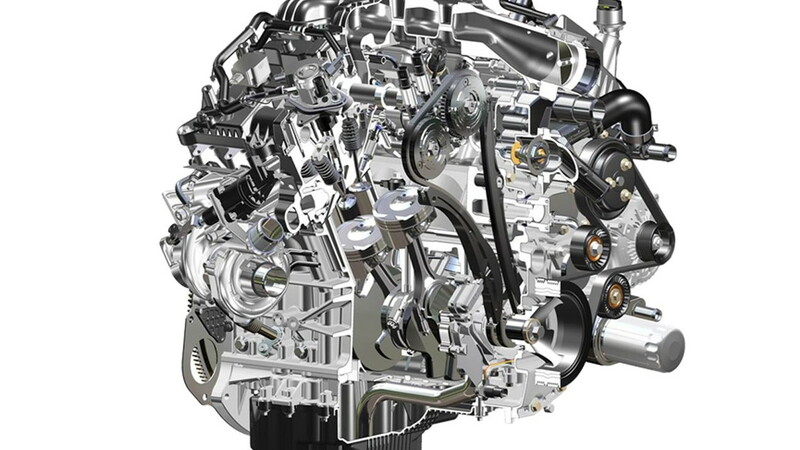 Ford's EcoBoost 3.5-liter V-6 has been one of the best light truck engines on the market since it was introduced in 2011. For 2017, it promises to get better. That's because the Ford is not only installing the second-generation of the 3.5-liter EcoBoost in the 2017 F-150, but also pairing it with an all-new 10-speed automatic transmission. Today, Ford released more detailed information about both. Let's take a closer look at each. This isn't some minor update for Ford's turbocharged 3.5-liter V-6. Every component is new. The new engine shares only its bore centers and deck height with the outgoing engine. The new version gets quite a bit of new technology, headlined by a standard stop/start features and the addition of port fuel injection to the carryover direct injection. Adding port injection gives the engine two injectors per cylinder, with the port injectors in the intake ports and the direct injectors in the cylinders. Ford says the two can work together to improve power output and efficiency, and reduce emissions. For instance, port injection can be used during cold start up to reduce emissions. It can also be added on top of direct injection to improve power. In its own right, direct injection is known for improving both power and fuel efficiency and reducing turbo lag. The second-generation engine uses new turbochargers with lighter turbine wheels and electrically actuated wastegates. Boost pressure increases from about 14.5 to 16 psi. Ford has also employed some light-weighting strategies. New hollow camshafts save about a pound each for four pounds of total savings. Ford says the new engine weighs a couple pounds less than the outgoing engine despite the added equipment. Other new components include roller-finger followers in the valvetrain, revised intake and exhaust valves, and hydraulic valve-lash adjusters meant to improve durability. New pistons help increase compression from 10:1 to 10.5:1. All of those changes add up to more torque. While horsepower remains constant at 365, torque increases from 420 to 450 pound-feet with better low-end performance as well. Ford says noise, vibration, and harshness; fuel economy; durability; and emissions will all be improved. Fuel economy numbers are not yet available and Ford is not quoting a percentage of fuel economy improvement. 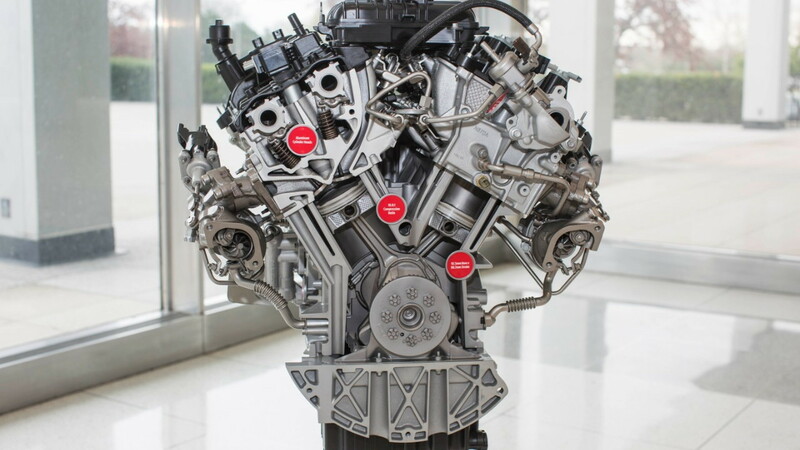 A version of this engine will also be used in the next F-150 SVT Raptor. Power numbers are not yet available, but Ford is promising figures higher than the 411 horsepower and 434 lb-ft of torque of the 6.2-liter V-8 used in the last Raptor. Ford worked with General Motors to developed its new 10-speed automatic transmission, known internally as 10R80. It is meant for rear-wheel drive applications and will come standard with 2017 F-150s outfitted with the EcoBoost 3.5-liter V-6. GM has announced that the 2017 Chevrolet Camaro ZL1 will use its version. The internal components--gears, clutches, etc.--will be shared with GM, but the software programming and case will be unique to Ford. 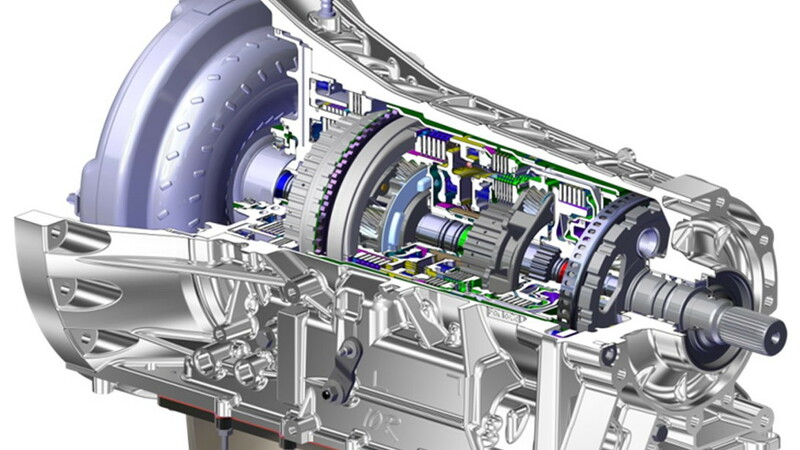 Ford is investing $1.4 billion in its Livonia Transmission Plant to build this transmission. The 10-speed will have three overdrive gears and a wider gear-ratio spread than the 6-speed automatic it replaces. Ford says the wider ratio span allows the truck to use lower-numerical rear-axle ratios, which improves highway fuel economy. 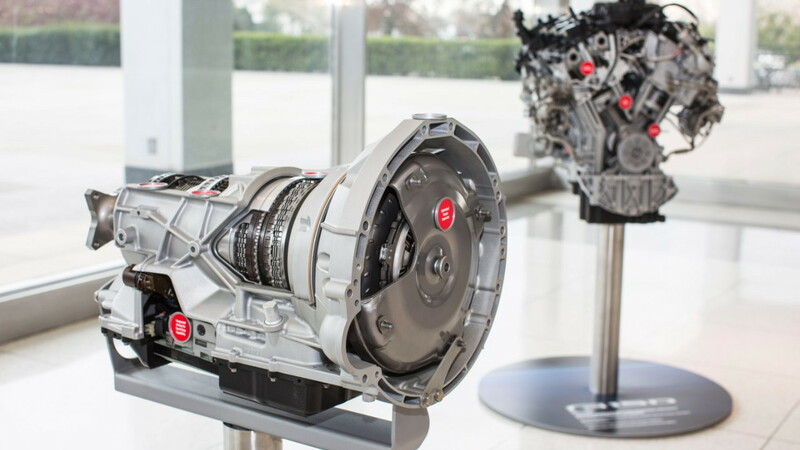 A new real-time adaptive shift algorithm monitors more than a dozen powertrain and driver input signals to make the transmission adapt to each driver's needs. An internal electric pump will enable the stop/start feature and the 10-speed will eventually be available with shift-by-wire applications, though the F-150 will have a mechanical connection. Thanks to the use of lightweight alloys and compact packaging, 10R80 weighs only a few pounds more than the 6-speed 6R80. In fact, it is the first Ford transmission that uses no cast-iron components. 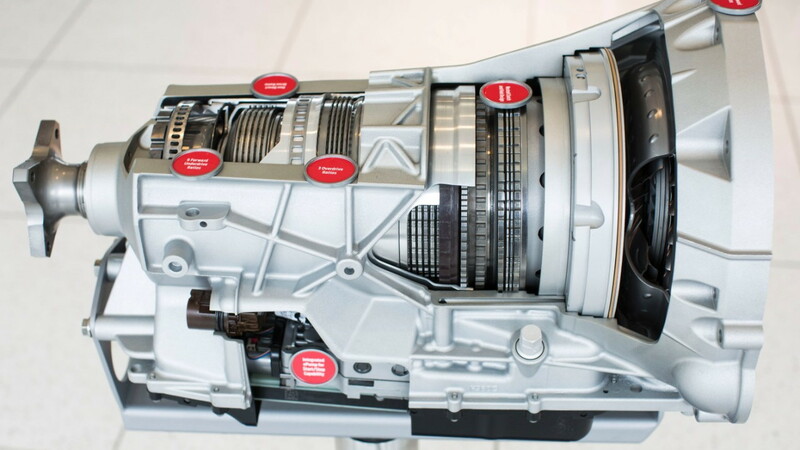 A torque converter with an integrated turbine clutch also allows it to be only a half-inch longer than the 6-speed. The 10-speed will make its debut in the 2017 F-150 due this fall. It will also be used in the F-150 SVT Raptor around the same time. Ford hasn't announced what other vehicles will use the 10-speed, but the full-size truck-based Ford Expedition and Lincoln Navigator are sure bets and a report last year suggested a 2018 Ford Mustang Mach I will get it. Basically, it should be offered in every rear-drive application.